 A reliable source for Plastic Fabricators information and a resource for accessing leading Plastic Fabricators and suppliers. The term plastic fabrication includes the many industrial processes which produce every conceivable type of plastic product (both stand-alone objects and integral parts). Such plastic creations are used and sold by virtually every modern industry and are among the most in-demand products in the world. Manufacturers The term plastic fabrication includes the many industrial processes which produce every conceivable type of plastic product (both stand-alone objects and integral parts). Such plastic creations are used and sold by virtually every modern industry and are among the most in-demand products in the world. Our plastic fabrication systems are made from the markets highest quality innovations. The plastics we design are integrated with the best materials available. It is our goal to be your stress-free provider of plastic products. At Park Plastic Products our main focus is manufacturing custom fabricated tanks from polypropylene and co-polymer. Chemical rinse tanks, dip tanks, anodizing tanks, tank liners, air purification tanks, drip pans and custom rolled polypropylene tanks are available to be built to your size and specifications. Since 1972 we have been relied upon for quality and custom designed fiberglass products for the transportation, fire apparatus, chemical, automotive, aerospace, theme park and utility industries. We create rigid and flexible plastic products. Our teams utilize sophisticated machinery that is guaranteed to save you money in the long run. Our plastic fabrication is trusted and we promise it will last for many years to come. We are dedicated to bringing you the best plastic fabricating parts! Conlet Plastics’ over 40 years combined experience means new thinking applied to plastic fabrication to realize possibilities & assure best price, quality & on-time delivery. We are a global supplier of plastic solutions. Our company takes pride in saying we are ISO 9000:2008 certified. We have set the standard of creativity and productivity in our industry. Plastic has become an extremely popular alternative to other materials such as glass, metals, and woods for a variety of reasons. First of all, plastic is incredibly versatile. It can be fashioned into almost any geometry or form imaginable. Plastic is more user-friendly than other substances. Many consumers prefer using plastic over metal since it is lighter and safer – although just as effective in many aspects. Additionally, it is inexpensive and enables manufacturers to be far more cost-effective with less effort. One of plastic’s most highly prized properties is its durability. Plastic is resistant to several substances and conditions, such as abrasive chemicals, high impact, extreme temperatures, vibration, moisture, and pressure. Also, unlike many metals, plastic does not oxidize when exposed to water, so it is better for outdoor usage. The main disadvantages of plastic production and usage are environmental. Some plastic production practices have negative environmental and corresponding health effects. For example, the “spray up” process of plastic production introduces volatile organic compounds (VOCs) like styrene into the atmosphere. To the meet the diverse needs of a broad range of industries, plastic fabricators rely on a wide variety of fabrication processes using a broad range of fabrication equipment. Some of the more familiar fabrication processes include extrusion, injection molding, welding, machining, stamping, and machining. The categorization of industrial plastic fabrication processes depends on a variety of factors, including the nature of specific end products along with the nature of the process itself. For practical purposes, different fabrication processes will be grouped according to two of plastic fabrication’s three basic stages: manufacturing and assembly. In the initial stages of plastic fabrication, the vast majority of plastics are delivered to a fabricator as raw resin (in the form of flakes, powder, or small granules). This raw material can be derived organic material which will ultimately be converted (e.g. cellulose from wood), or from compounds in fossil fuels (oil, natural gas, coal, etc.). Generally speaking, plastics are based on carbon. (Silicones, which are based on silicon, constitute the main exception.) Furthermore, plastic material is divided into two broad categories: thermoplastics (which can be melted and remolded after production) and thermosets (which cannot be melted and remolded after production). Raw material is purified and then reorganized (via addition or condensation reactions) into polymers that will undergo the actual formation process. Oftentimes, plastic resins are combined with each other in various blending processes or enhanced with the introduction of additives (to be discussed further below). Injection molding is the single most common form of plastic fabrication. In this method, plastic material is forcibly squeezed or injected into a closed mold and allowed to cool. Epoxy, polyester, and polyurethane are some of the plastic resins which are commonly manufactured with this method. This method is particularly useful for products that need a high melting point (e.g. dishware). Some variations of injection molding include reaction injection molding (used for thermosets), reinforced reaction injection molding, and structural reaction injection molding (both of which reinforce polymers with chopped glass/fiber or matted fiber). Rotational molding or centrifugal casting injects plastic resin into a spinning mold lined with woven mats. The centrifugal motion of the mold forces the resin to saturate the mats during the curing process. Products of rotational molding are typically hollow objects like pipes, tanks, various automotive parts, canoes, etc. Blow molding derives its name from using compressed air to inflate a pre-formed thermoplastic tube in order for it to assume the shape of a mold. The further sub-categories of blow molding are extrusion blow molding and injection blow molding. These sub-categories are delineated by the method of forming the pre-formed thermoplastic component (known as a parison). Containers such as bottles or tanks are some of the most common products of blow molding. Compression molding is more traditional form of plastic fabrication that utilizes a sheet molding compound (SMC), or bath of plastic resin containing embedded glass fibers. A hydraulic press is used to cure this material through extreme heat and pressure. Although not as common as other molding methods due to high costs, this method is still used for high production runs to produce items like car fenders and clothing fasteners. Extrusion forms another family of fabrication processes. Rather than simply squeezing plastic resin into a mold, extrusion forces resin through a heated, pressurized barrel and into a die to make basic forms such as plastic sheets and tubes. Extrusion can be used to create forms that will next be molded, or it can be used to make “stand-alone” objects. Pultrusion is considered the opposite of extrusion since it relies on pulling rather than pushing forces to accomplish similar aims. Like injection molding, extrusion is a thermoforming process, meaning that it involves melting resin to force it through a die or mold cavity and take the shape of the die or mold as it cools and hardens. Lay-up methods of plastic production involve stacking dry sheets (known as plies) into open molds and covering them with plastic resin into order to cure via pressure. Pressure is often applied (manually) by tools known as hand rollers. Dry lay-ups saturate the plies at the end of the stacking process, while wet lay-ups saturate plies one by one as they are stacked (for more equal resin distribution). The spray-up method (referenced before) is an “automatic” version of manual lay-up methods that utilizes a pneumatic gun. It is not uncommon for both manual and automatic methods of “laying up” to be utilized together in plastic fabrication to increase the strength of a finished product. Resin transfer molding resembles “laying up” methods since it also forms plastic by saturating meshes with fiber-reinforced resin. The main difference between the two categories of plastic fabrication lie in the fact that transfer molding relies on closed molds rather than open molds. Standard injection methods are often used to inject resin into the closed mold. The resin can be injected via a vacuum in a variation known as vacuum-assisted resin transfer molding, or simply vacuum molding. Any plastic fabrication operation that occurs after the base plastic has already been formed can be lumped together in the post process category. Mechanical processes like plastic assembly, bending, cutting, drilling, engraving, etching, punching, stamping, and tapping are all post-formation fabrication processes. Although they are only required for certain plastic applications, processes like these are not uncommon and allow plastic fabricators to make any changes necessary. Operations like welding, cutting, and gluing can all be categorized as assembly operations, which specifically help form finished products by bringing different plastic parts together. Cutting processes further shape plastic for specific applications once it has been formed and molded. Almost always, plastic fabrication is assisted by automated computer software called computer numerical controlled (CNC) software. This is especially true in the cutting stages of plastic fabrication. CNC machinery speeds up and streamlines operations far more than actual technicians and renders human error a virtual non-factor, helping to produce high volumes of identical, highly complex parts and products. CNC routes, CNC mills, and CNC lathes are just some examples of complex machinery used for cutting, while gun drilling and centerless grinding are representative of specialized cutting processes that produce special shapes. More traditional, mechanical die cutting is still utilized by plastic fabricators alongside more advanced forms of CNC and/or laser cutting. Strictly speaking, assembly operations refer to any process that combines different plastic pieces to create a plastic product or part of a plastic product. Adhesive bonding and joining (by mechanical fasteners) are two common methods of assembly. Another fabrication process, plastic welding, involves heating two pieces of thermoplastic until they become viscous, and then pressing them together, allowing their molecules to mix into one single piece. Welding is particularly useful for plastic that does not respond well to adhesive bonding. Some sub-categories include hot gas emissions, high frequency vibration, and contact welding. When plastic is laminated, it is used to create a surface barrier for another type of material. It is generally used to increase another material’s strength or category of chemical resistance (e.g. electrical, chemical, etc.). Film lamination places plastic on the exterior of a product, while resin lamination places laminating material between a pair of substrates. Plastic can also undergo various end finishing processes for aesthetic or other purposes. Polishing, buffing, powder coating, silk screening etc. are examples of various end processes that can be applied to plastic products. Even a brief survey of plastic fabrication methods highlights the lack of a strict chronology which characterizes the overall plastic fabrication process. For example, while extrusion often occurs relatively early in the fabrication process, it can also come directly before later procedures such as adhesion or lamination. Similarly, thermo-forming processes can be confined strictly to molding methods, or they can occur more or less in conjunction with later post-process methods (such as bending plastic sheet on a strip heater). The use of additives in plastic fabrication clearly illustrates the flexibility of order in plastic fabrication. Many types of chemical additives are used in plastic fabrication, such as plasticizers (to improve flexibility), impact modifiers (to increase shock absorption), external lubricants (to reduce friction), fillers/extenders (to increase a plastic’s bulk), flame retardants (to reduce flammability), thickeners (to increase viscosity), etc. While many additives are included with master pigment/resin batches during early mixing stages and raw material preparation, they may also be imparted to plastic products during assembly and other “post process” stages. Examples of plastic products finished via manufacturing and assembly include carts, display racks, enclosures, plastic tanks, signs, laminated electric insulators, truck roofs/panels, access doors, control panels, and toys. Plastic tanks, in particular, provide a good example of how the nature of an end product shapes the importance and nature of plastic fabrication. 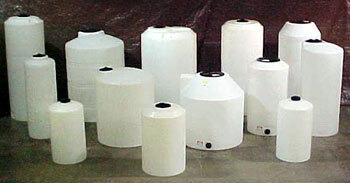 Plastic tanks are a popular plastic product since they rely heavily on chemical corrosion resistance. Further, the cylindrical nature of tanks requires very specific fabrication processes, such as aforementioned rotational molding or filament winding (a highly automated process which pulls fibers through a resin bath and around a rotating mandrel.) Plastic fabrication processes create not only independent products, but parts that serve as important components of other products and systems. Plastic parts like these include bolts, nuts, screws, guide rings, O-rings, wear rings, insulators, adaptors, bearings, bushings, spacers, and shims. Because plastic fabricators are the source of all plastic products, every consumer of plastic components relies on them for the creation of the products they need. Everything from stock products like plastic washers to custom products for specialized electronics must be created by a fabricator. For plastic fabricators, choosing the proper plastic fabrication process is obviously important. Overall, the nature of the end product and the flexibility of the fabrication process should be determining factors in process selection. The nature of an end product – including its dimensions, ideal chemical composition (e.g. single/compound plastic composition, plastic/non-plastic composition), and practical application – shape the entire fabrication process from beginning to end. Materials are matched to products based on how the material’s properties will support or enhance the product’s application requirements. For example, those plastic products made for applications in the food and medical industries must be both non-toxic and contaminant resistant. In order to avoid damage, contamination, or corruption from exposure to substances like fats, oils, and bodily fluids, they must also be watertight. In addition, plastic materials formed into machine hardware and parts must have a high tensile strength and the ability to withstand abrasion, moisture, and oil exposure, and resist chemicals. Similarly, plastic parts used in the automotive industry must be vibration and shatter resistant. The flexibility of a certain product – and by extension, the flexibility of corresponding fabrication processes – is very important because it involves financial ramifications. Tooling for certain aspects of fabrication (e.g. injection molding) can be extremely expensive. Thus, it is important to keep product design and application changes to a minimum. Finding a quality plastic fabricator is important since a fabricator will not only carry out the manufacturing and assembly stages of product creation, but often the initial design stage as well. As even a brief overview of plastic fabrication has demonstrated, the engineering of plastics is a deceptively complex process. When engaging in the design process, a plastic fabricator must consider many factors, such as working temperature ranges, size parameters, temper (hardness or softness), color, and tensile strength requirements. Generally, plastic fabricators offer products in pre-engineered designs and standard sizes, presenting customers with examples and dimensions from which to choose. However, any worthwhile plastic fabricator will also willingly design specialized and custom-made pieces for those who request them, relying on aids such as CAD and virtual 3D prototyping. Plastic fabrication is so complex it is common for independent manufacturers to focus on only one aspect of the process (e.g. extrusion and injection molding). This can often work to a customer’s advantage, since such focus often corresponds to depth of expertise and capabilities. One area to inquire into when seeking a plastic fabricator is the area of quality control. QA aids such as strict barcoding or the Kanban system are welcome signs of the integrity and expertise of a fabricator. With regard to working with plastic suppliers closer to the consumer in the supply chain, it is important to work with suppliers which have close relationships with plastic fabrication companies in order to increase custom fabrication options. Many standards that govern the plastic industry derive from ISO. For example, standards governing thermoplastics are attached to the ISO 306 standard. ISO 9001:2008 is a more generic standard focusing on the quality of customer service. Always make sure that the plastic fabricator you are working with has a high level of accreditation and adherence to industry standards.